The Vermont Center for Health Statistics constantly tracks health data and trends to assess the health of Vermonters. We are responsible for research planning, data collection and analysis, consultation and reports, health data registry operations, and overall maintenance of the systems that contain the state's health statistics. We work to provide high quality health data to policy makers, researchers, communities and individuals in an efficient and timely manner. We collaborate with public health partners to support community needs assessments and evaluate health outcomes and services, while promoting an environment of research and learning. 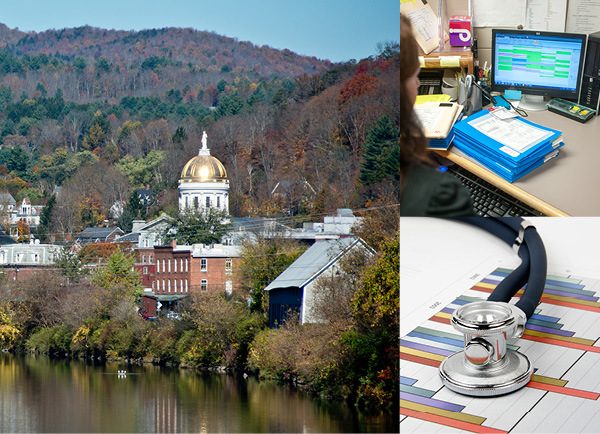 Our goal is to help inform sound health policy and program decisions – and provide the insights that can lead to improved health for all Vermonters and their communities. The Vermont Center for Health Statistics coordinates and responds to the majority of public health data questions (except infectious disease epidemiology). We do not provide information or advice on an individual's medical diagnosis, treatment or prognosis. These questions should be referred to your health care provider. Health Status Monitoring – We provide information used to monitor the health conditions of Vermonters. Health Data Analysis – We use data to analyze important health issues, such as maternal and child health, vaccination rates, chronic disease burden, cancer diagnoses, treatment and prevention, prescription use, and mortality statistics. GIS – We use geographic information systems to map health conditions, behavioral trends, and population demographics. Evaluation and Policy – We provide accurate and timely data to inform health policy, plan prevention programs, distribute resources, and evaluate the impact of health programs and services. Secure Health Registries – We provide a safe and secure environment for confidential records such as immunization histories. Our Data Encyclopedia: A Review of Data Sources and Resources Available at The Vermont Department of Health provides an overview of the commonly used data sources to assess and track population health outcomes and contributors to disease in Vermont. It is intended to provide a high level description of the type of information in each data source, the potential uses and limitations of the data, and the existing reports summarizing the data.